UpDown.Club is a trusted New Zealand binary options broker. It was founded in 2016 by Spinifex Corporate Solutions Limited, which owns and manages UpDown.Club. It has expert traders and market analysts on its team. Its headquarters are in Willington, New Zealand. Its website is available in a variety of languages such as English, German, Spanish, Russian, Portuguese, and Brazilian. However, this company provides no support for US clients. It also adopts Anti-Money Laundering (AML) regulations for a better trading experience. 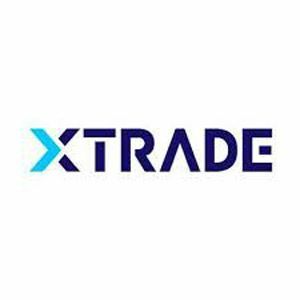 Exante Technology has developed the trading platform for UpDown.Club. It provides an easy-to-use platform, and traders can use this platform on their PC using Windows. The platform is not available for other OSes for PC yet. However, it is available for mobile devices via the Android app and the iOS app, and both these apps are free to download. Thus, traders can use these apps or the online trading platform to create different trading accounts. UpDown.Club offers a trade of 4 types of commodities, 23 stocks, 11 indices, 7 currency pairs, gold, oil, and metals. It also provides a bonus upon the first deposit. One of the benefits that traders have is the minimum amount required to open an account. It is just $10. Traders also get 85% payout ratios. UpDown.Club offers four trade contracts which are the Barrier options (Classic Up/Down options), Random Walk options, Plane in the Air options and the White Noise options. Users can open only one type of account to trade with these options. Traders have the option to open a demo account. This demo account has a cash of $1000 which traders can use to learn how to perform in the binary trading world and how to use the trading platform. The demo account is available only for 24 hours, so traders have to take advantage of the account within the time limit. UpDown.Club offers a payout ratio of 70%. Traders can deposit cash in their accounts via bank wire transfer, credit card, CashU, Neteller, Moneta.Ru, WebMoney, Skrill, and Yandex.Money. Similarly, traders can withdraw cash from their accounts using bank wire transfer, credit card, CashU, Neteller, Moneta.Ru, WebMoney, Skrill, and Yandex.Money. The client support service at UpDown.Club is excellent and is available in Arabic, English, Spanish, Italian, Russian, German, and Portuguese languages. This service is available via email and phone calls. Furthermore, it is available for 24 hours. Users can ask any question related to binary options any time. UpDown.Club is one of the trusted binary options brokers. 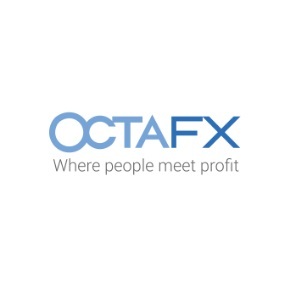 It has an easy-to-use interface and provides a free demo account for traders. The best part is that it only needs a minimum deposit of $10 to open a trading account. It is a reliable binary options broker that provides traders with trade contracts such as Barrier Options (Classic Up/Down options), Random Walk options, Plane in the Air options and White Noise options.